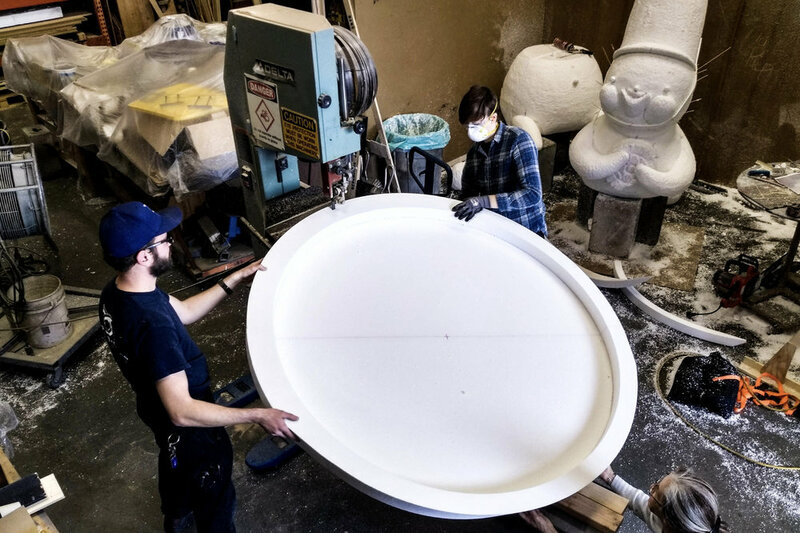 Benchmark Arts provides specialty fabrication, R&D, and installation services to artists, cultural institutions, and entertainment companies. There are a lot of people who can cut, drill, weld, and paint. What sets Benchmark Arts apart is our quarter-century of experience as craftspeople who understand that successful projects are a combination of compelling vision, thoughtful planning, and quality execution. Our extensive production background helps us ask the right questions from the start so we can deliver custom solutions that take everything into account, from prototype and budget to fabrication and installation. 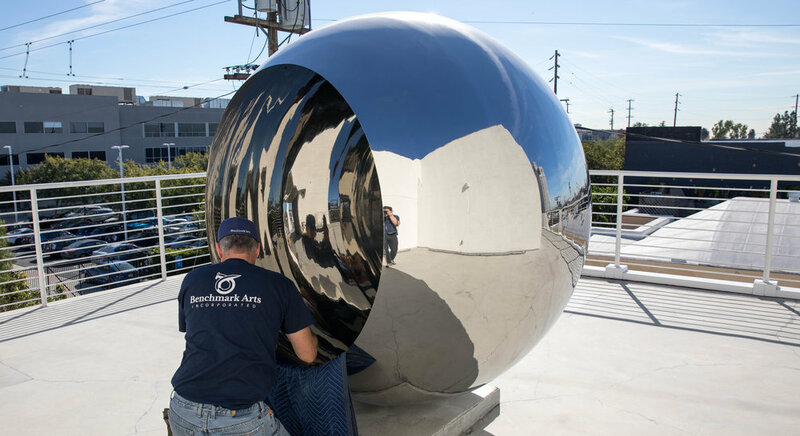 Whether we are working with artists, museums, creative directors, or set decorators, we understand the importance of staying true to our clients' artistic intent and delivering on what we promise. That is the Benchmark way. From comprehensive project planning to specialty fabrication, we work with clients at every phase of the creative process. Metal, wood, glass, ceramics, and even gold-plated razor wire --see highlights of the work we have done on behalf of our clients.